The Sidekicks build on their punk roots in the latest evolution of their sound. The Sidekicks is not a band that is afraid to change. The Columbus-by-way-of-Cleveland crew started off channeling a snotty punk vibe before developing a more melodic and mature sound on Weight of Air and Awkward Breeds. The evolution continues on Runners in the Nerved World, the band's first album with Epitaph. 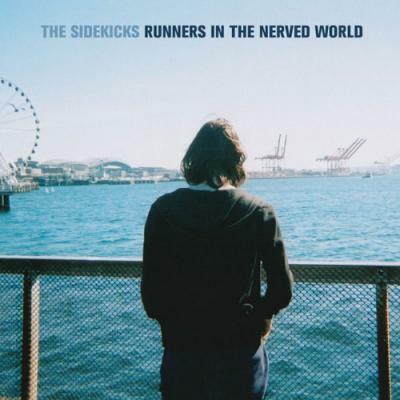 Whether it was part of a natural evolution or a change inspired by working with The Shins and Built to Spill producer Phil Ek, The Sidekicks developed a shimmering side to the band's high-energy oeuvre. Runners in the Nerved World is the product of a band leaning closer to Band of Horses than Against Me!, but the shift in sound works, leading to sweeping pop-rockers like "Jesus Christ Supermalls" and the extremely fun "Summer Brings You Closer to Satan." The band hasn't completely abandoned its punk roots, but the continued growth of The Sidekicks is fully on display on Runners in the Nerved World, and that's a good thing.